Leonardo DiCaprio takes on yet another larger-than-life historical figure in Clint Eastwood’s new biopic, “J. 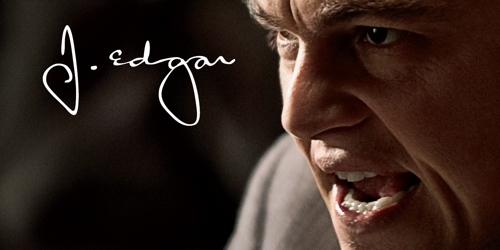 Edgar.” The film follows the career of the FBI’s first and most infamous director, J. Edgar Hoover, who held his position and influence through several presidents, from 1935 through his death in 1972. He built the agency into an investigative powerhouse, but burned many bridges along the way, surviving largely through the shrewd collection and use of secret files he kept on every powerful person in the country. In addition to DiCaprio, “J. Edgar” stars Armie Hammer, Naomi Watts, and Judi Dench. The film is also full of cameos portraying famous figures from history, including Jeffrey Donovan as Bobby Kennedy, Josh Lucas as Charles Lindbergh, Christopher Shyer as Richard Nixon, and Emily Alyn Lind as Shirley Temple. Ambitious in scope, with clear Oscar intentions, does “J. Edgar” bring history alive? Is the combination of political intrigue with a forbidden love story a compelling one? Or is the film brought down by its a winding narrative, drab settings, and distracting old-age makeup? This entry was posted by Ryan on November 13, 2011 at 12:55 pm, and is filed under Movies, Podcasts. Follow any responses to this post through RSS 2.0. You can skip to the end and leave a response. Pinging is currently not allowed.